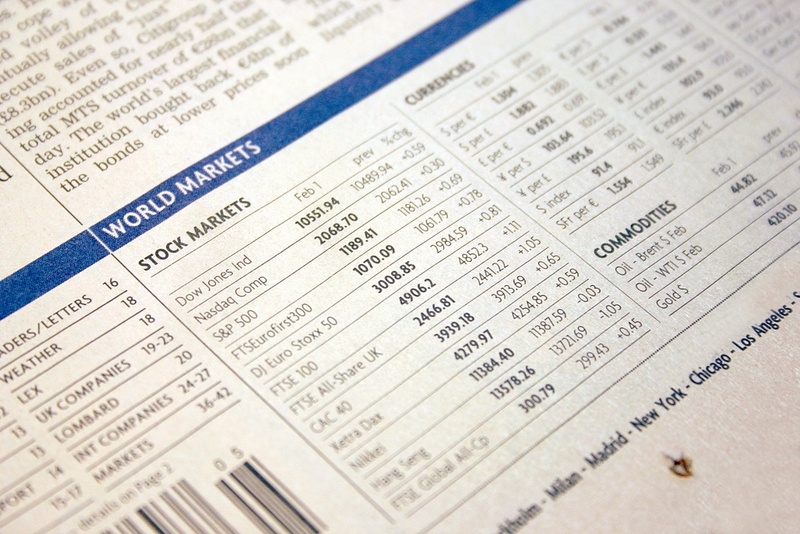 How Much Does the Real Estate Cycle Really Affect Investors? 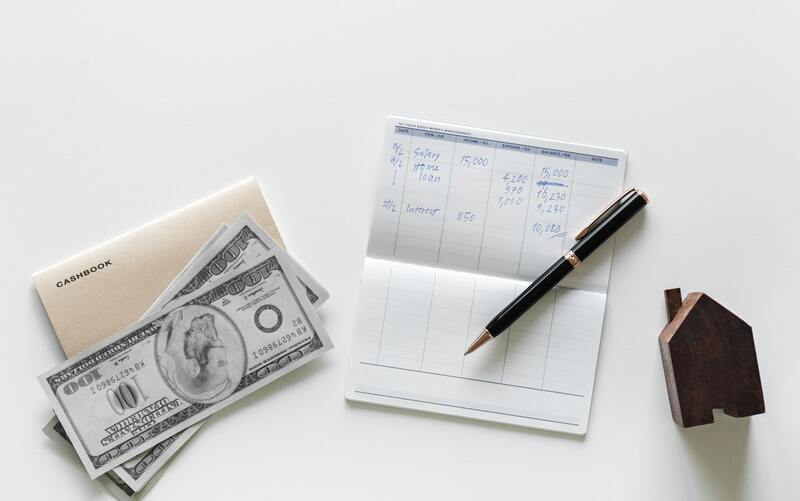 While there are many factors to pay attention to as an investor of any kind, one of the biggest indicators that people seem to look to, no matter what is the market cycle. 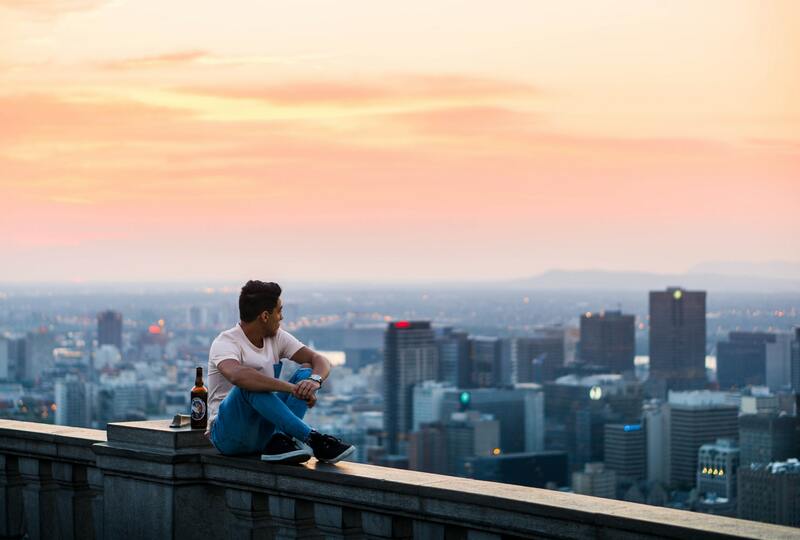 For real estate investors, the real estate cycle can be valuable to understand, but it can create a lot of stress and anxiety if relied on too heavily for decision-making. 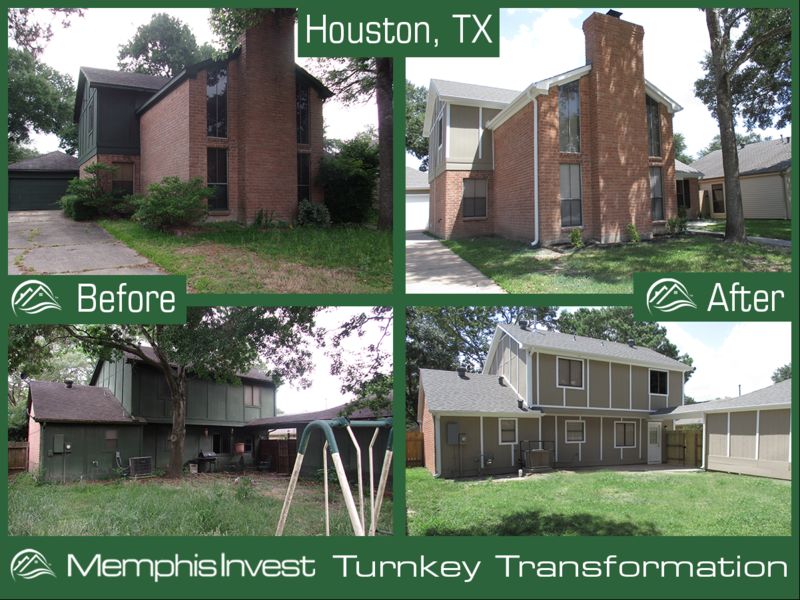 Our Turnkey Transformation for this week is located in the Houston, TX market. You'll see how this 1980's home is turned into a modern, clean space. Plus, check out the 'before' kitchen pics below and you'll notice there wasn't really much of a kitchen at all when we got started! Wherever real estate investment and taxes are concerned, people tend to get a little nervous. 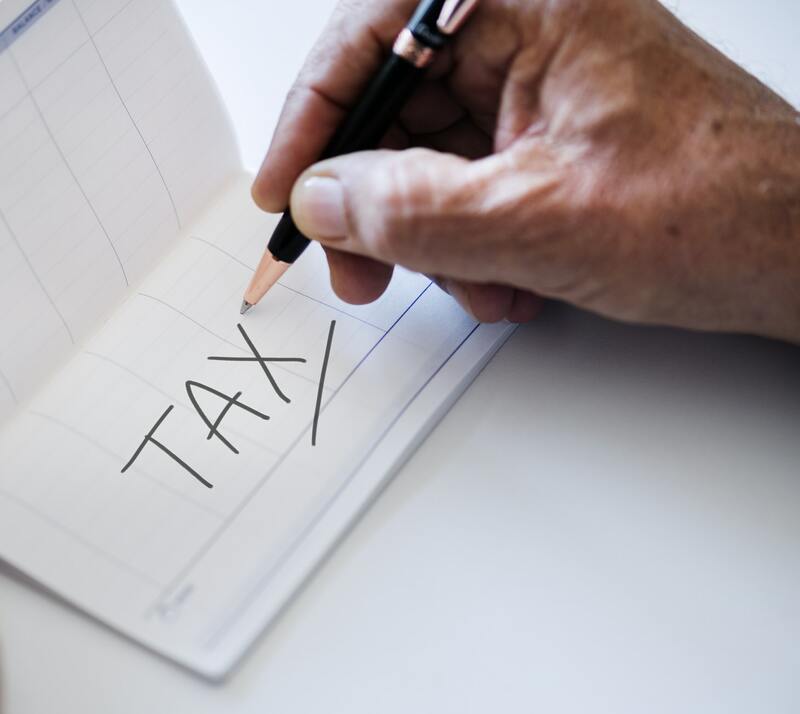 After all, taxes and all the legal trappings that come with exchanges, exemptions, exceptions, write-offs, benefits, and penalties get tricky if you’re unfamiliar with it all. And if we’re honest, it’s not in most of our proverbial wheelhouses. 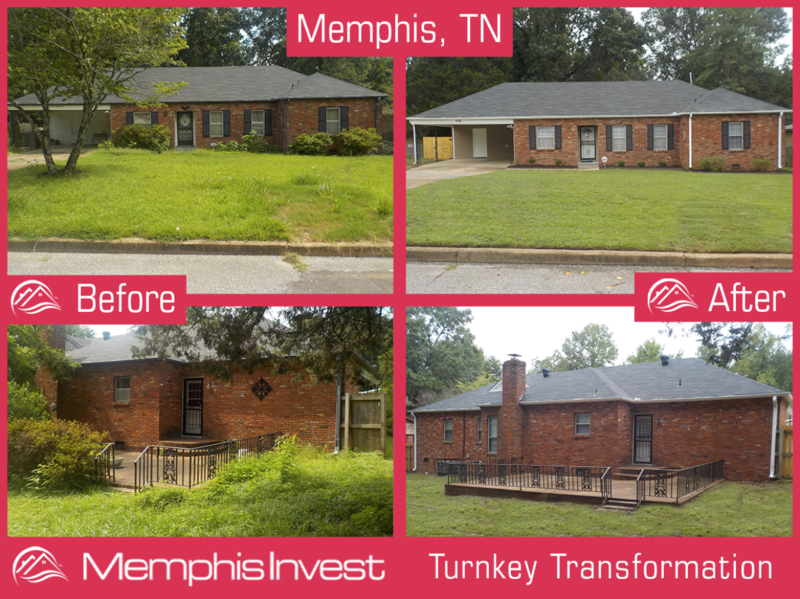 This week's 'Turnkey Transformation' comes from Memphis, TN. 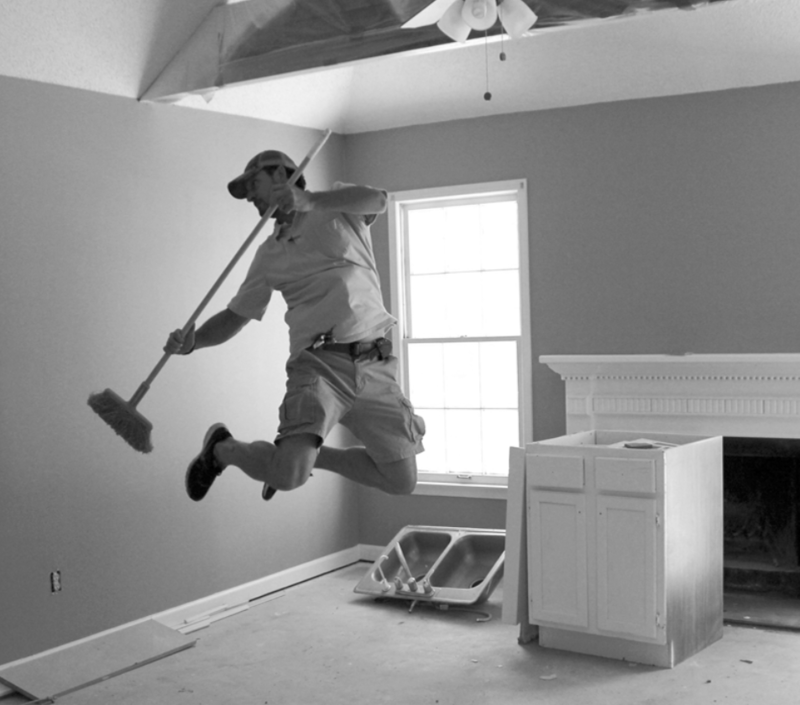 Memphis is where we got started in the turnkey business over 15 years ago, and have since expanded into 5 other markets (Oklahoma City, St. Louis, Little Rock, Houston, and Dallas). We're so proud to call Memphis our home town, and I encourage real estate entrepreneurs to always get to know the communities in which they invest. 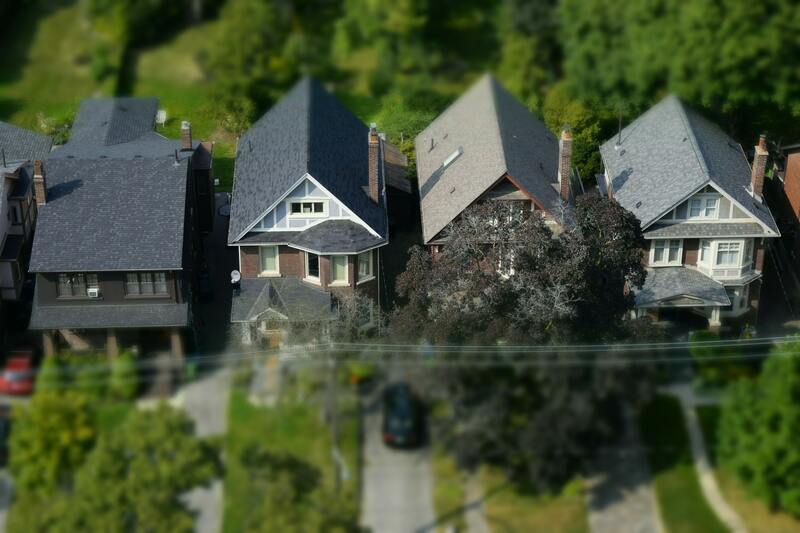 If you’re at all familiar with real estate investing, you know that one of the biggest advantages that proponents of real estate investment laud are tax benefits. This benefit, however, can sound vague to anyone who isn’t familiar with tax law or doesn’t handle their own taxes—and let’s be honest, most of us don’t! 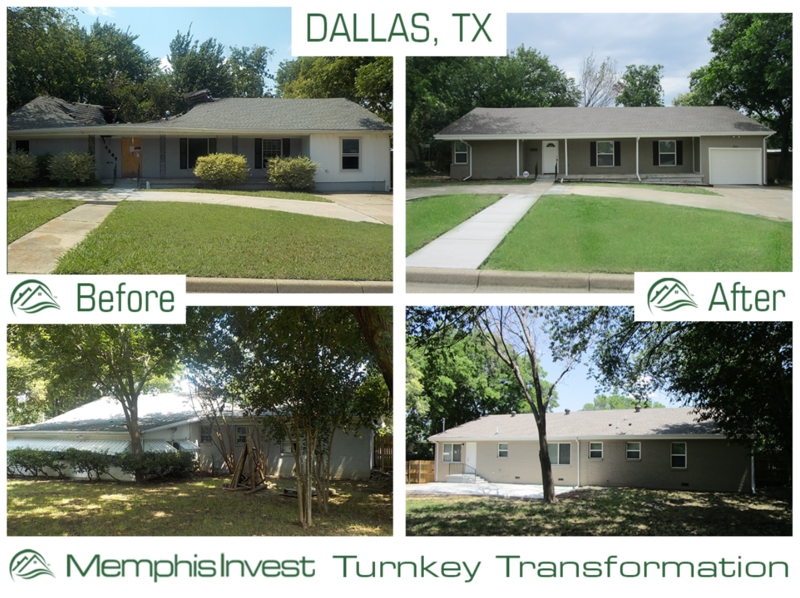 This week for our Turnkey Transformation, we have another Dallas/Ft. Worth property for you! 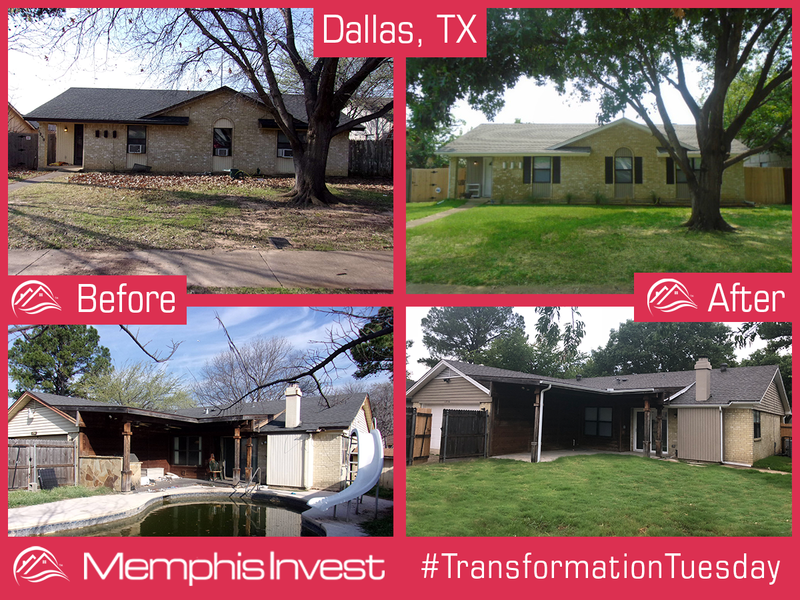 A house fire destroyed much of the interior and exterior of this house, but it was nothing the Memphis Invest team couldn't handle! See some great before and after pictures, as well as some much needed modifications that we made to the layout of the home. 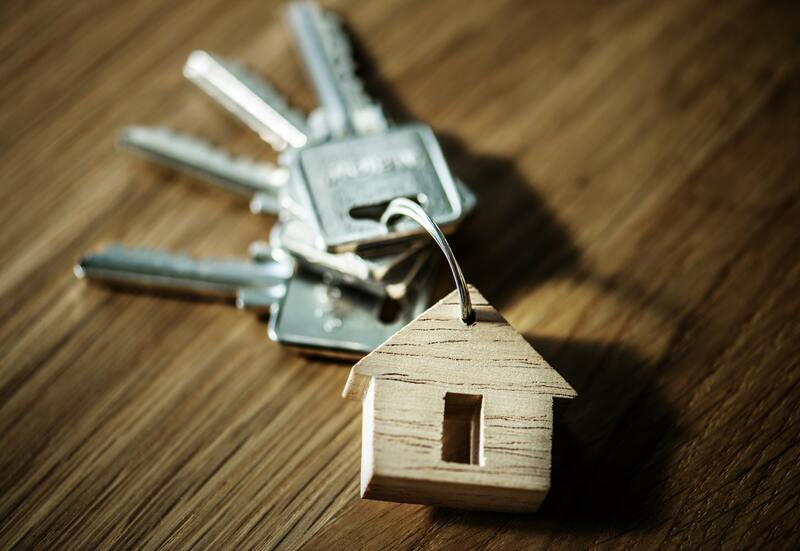 Successful real estate investors all have this pivotal moment where their thinking makes the critical shift from average homeowner to investor. 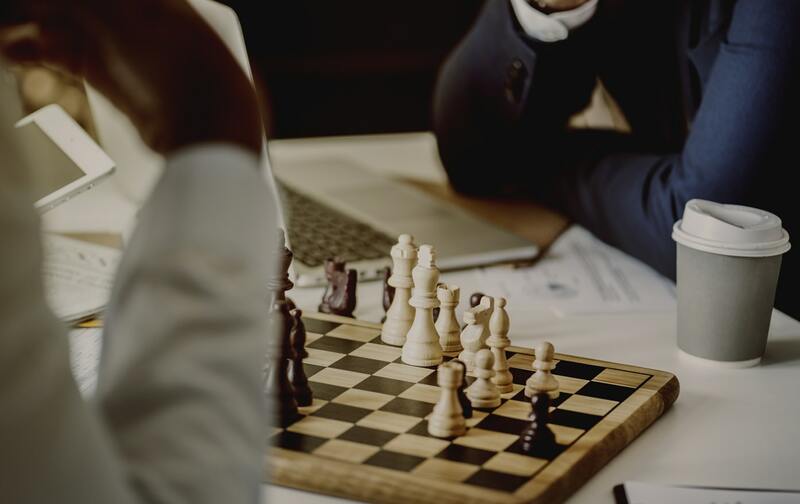 You see, mastering an investor mindset is an overlooked yet critical piece of the puzzle when it comes to investing in real estate. Because we often think of investing as something we do “on the side” and not as a highly skilled job, we don’t often think of ourselves as truly in need of any training or in need of a fundamental shift in thinking to succeed. Coming to you from the Dallas/Ft. 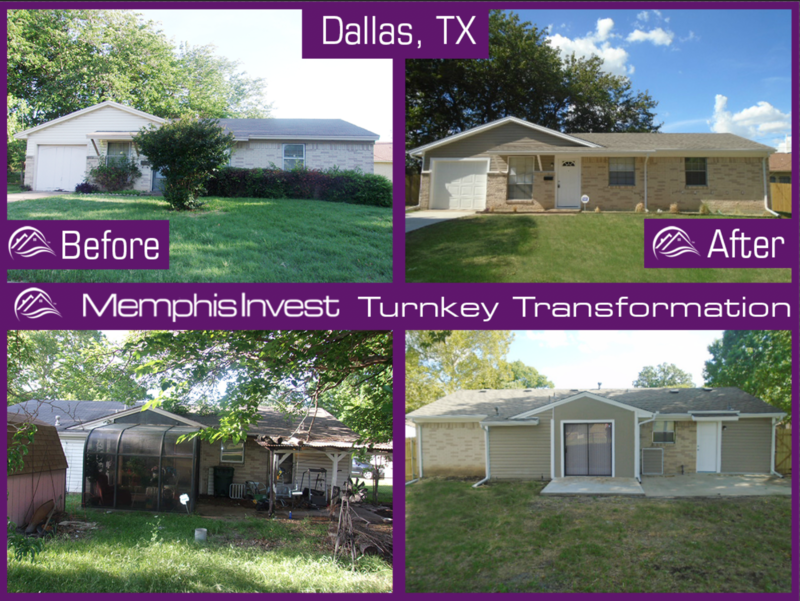 Worth area, we have this week's Turnkey Transformation! We'll see how a lot of landscaping and a great rehab team are able to bring this property and it's curb appeal up to the Memphis Invest standards. Plus the backyard on this particular home needed a lot of elbow grease, check out the before and after pics to see how much this property can shine!